There are, perhaps, few more disconsonant scenes than of the austere silence of the library and the boisterous play of video games, but a growing movement is starting to put the two under one roof. Libraries around the country, from the Library of Congress, to university and community libraries, are beginning to archive, collect and even check-out video games. A 2007 study found that of the more than 400 libraries surveyed, a quarter of them said they had PC games available at their location to be checked out and nearly 20 percent said they checked out console games. But why would a place of learning become a home to gaming? Scott Nicholson, associate professor and library scientist at Syracuse University's School of Information Studies and the Library Game Lab of Syracuse, said there are three main goals libraries have for including video games in their collections. They do so to provide a new service for those who aren't coming to the library, to help the library grow in its role as a community hub and to provide a service alongside existing library services like book clubs or story time. Some libraries even have events where people can play the games inside the library, Nicholson added. "Gaming in the library provides users with a chance to meet other people in their community who are not in their normal school or work life - people far outside their typical demographic boundaries," he said. "The library has become a place not just for taking materials home, but for engaging with others in the same physical community. "Communities on the Web typically are from many different areas - communities in the library are people who all live and pay taxes in the same physical space." And, Nicholson points out, games have been in libraries since the 1850s in one form or another. "Video games are simply one current manifestation of an activity that has been in libraries for decades," he said. "Along with video games, some libraries support many other forms of gaming - board, card, (role-playing games), and big games." The inclusion of games and video games aren't just limited to public, community libraries. Universities and research libraries have also started including them. 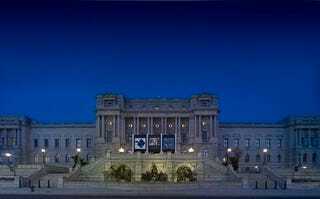 Even the Library of Congress is in the midst of a video game archiving effort. Recently the Universty of Colorado at Boulder announced they were considering adding playable video game consoles in their library as part of a commons area, which also houses a café. CU outreach librarian Deborah Fink told the university paper that the center could provide a break to students. "I think education is waking up to the fact that we are whole beings," she told the Colorado Daily. "We know it's important to take breaks and to refresh yourself." Nicholson says the inclusion of a gaming area is no different than having a coffee shop in a university library. "The cafe does not support the mission of the library, but draws people in and makes the library a more comfortable space for people to explore information and get to know each other," he said. "Gaming is a similar activity - if the goal of the library is to be a place for relaxation and socialization, then it fits into that goal." The inclusion of video games in libraries isn't much different than earlier movements to include pieces of art, movies and music as items that could be checked out. By opening the door to video games, libraries and communities nationwide are reflecting the growing importance of gaming not only as part of today's popular culture but as a medium that can confront serious issues and spur emotional and intellectual debate.